Is your boiler more than 15 years old? It could be time for a replacement. At Combi-Nation, we provide the finest boiler replacement Southampton has to offer. 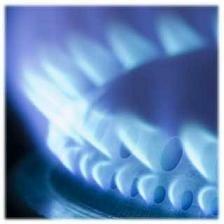 With our years of experience in the gas industry, we can recommend the best boiler for your budget and requirements. The boiler plays a large part in the running of your home, from providing hot water to heating your property in the colder months. However, after time they may start to lack in efficiency or even break down. If this is the case, choose Combi-Nation for an affordable and trustworthy Southampton boiler replacement service. When investing in a replacement boiler, it is important that you choose a registered company. We are proud members of the Gas Safe Register and have been recommended by many customers in Southampton over the years. Our boiler replacement service in Southampton is prompt, professional, and you will feel in safe hands with our experienced gas technicians. At Combi-Nation, we specialise in both combination and condensing boilers, both of which have their unique selling points. Combination boilers are ideal for Southampton homes with limited space as you do not need a place to store a separate water tank. Additionally, these offer a constant supply of hot water as well as fast heating of the whole property. An equally popular option among homeowners in Southampton is the condensing boiler. This replacement rescues as much waste energy as it can from the flue and reuses it to heat your home. As a result, this reduces your energy bills as well as your carbon footprint. If you want to achieve optimal energy efficiency and save up to a third in fuel bills, a condensing boiler is easily the obvious choice. If you are experiencing any of the above, get in touch with Combi-Nation now to arrange a boiler replacement. Unlike other gas services in Southampton, we stick to our competitive prices and will not present you with any hidden costs at the end. We offer expert advice and help you choose the replacement Southampton boiler that is best for your home and budget. You can rest assured that you are getting the best value for money as we only supply customers with the best boilers on the market. Our team does not settle for-second class installation when it comes to replacing boilers. We will make sure that your boiler is installed to the highest standard by a fully qualified technicians. If you have any questions at any stage of your boiler replacement Southampton service, we are always happy to help. To ensure your boiler is completely safe and working to its full potential, homeowners should make sure they pencil in an annual boiler service. Combi-Nation provides a thorough boiler service, during which we will clean your boiler and inspect its individual parts. Our service is available 365 days a year, and we will always put emergencies at the top of our priorities. For the best boiler replacement Southampton service, call Combi-Nation on 02380 775666 or email us at info@combi-nationheating.co.uk.